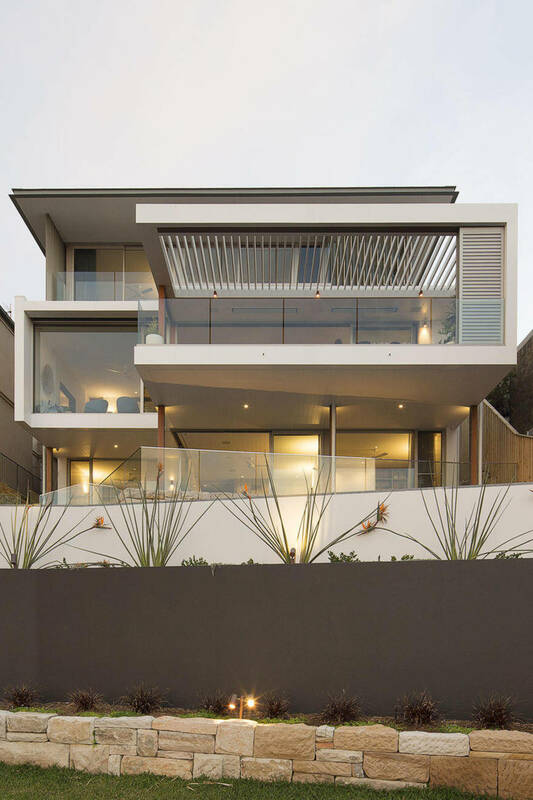 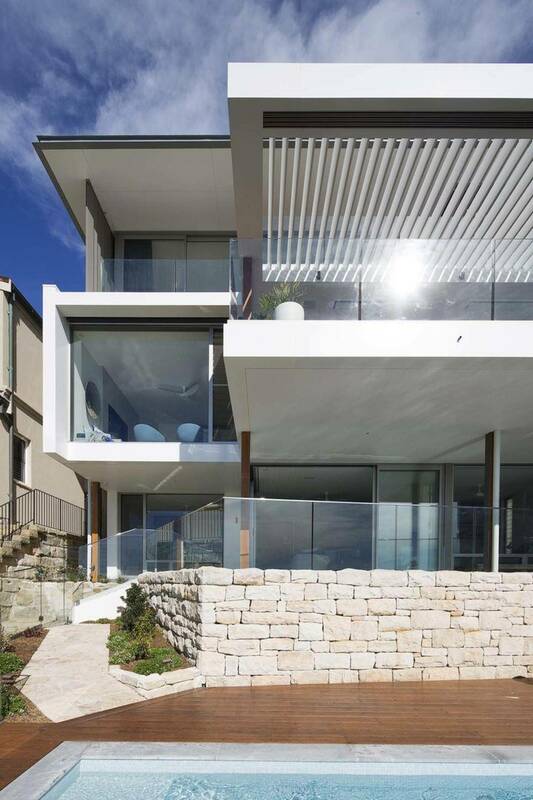 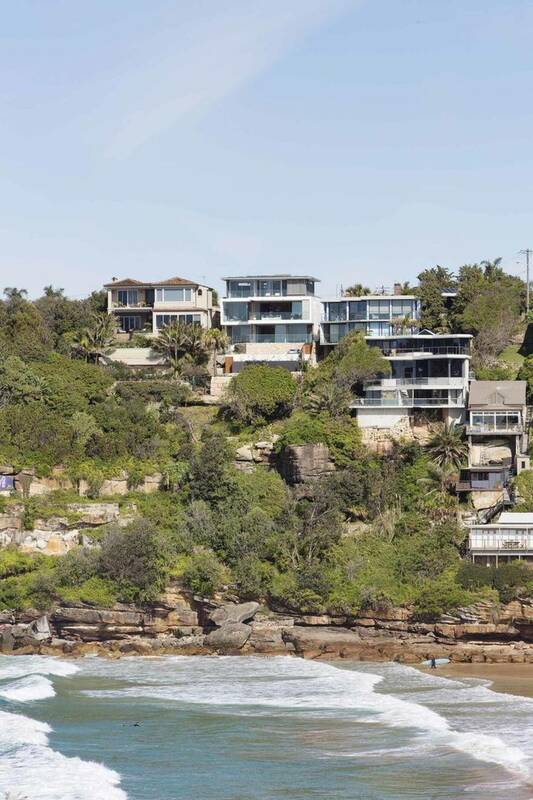 Text by SJS: A large family home over three levels, stepping down a cliff top site overlooking Freshwater Beach to the north. 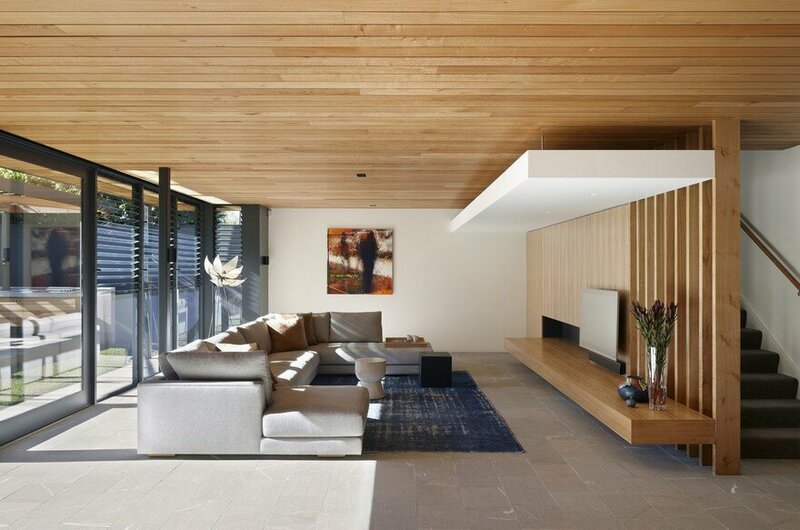 The home was designed to take advantage of the stunning location while providing a private sanctuary for the owners and their young family. 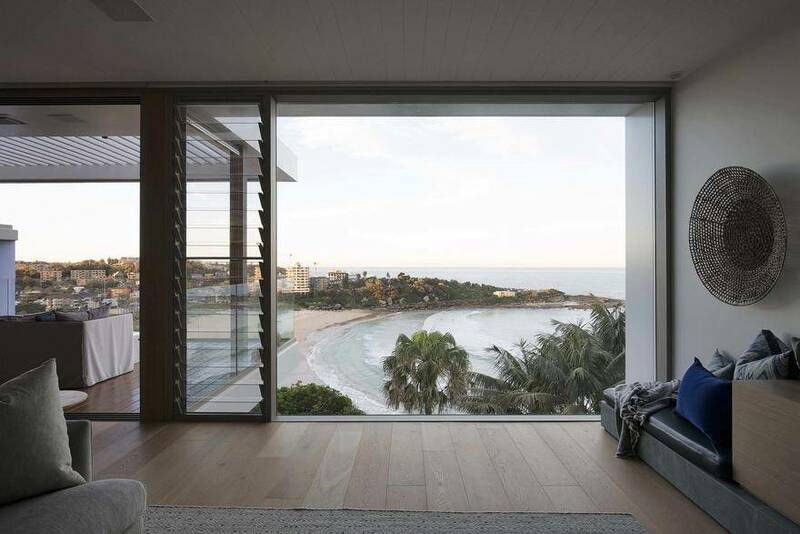 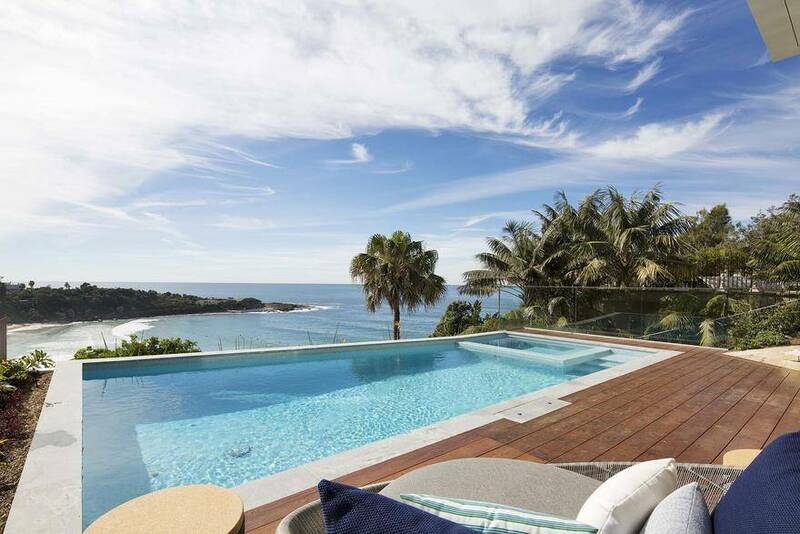 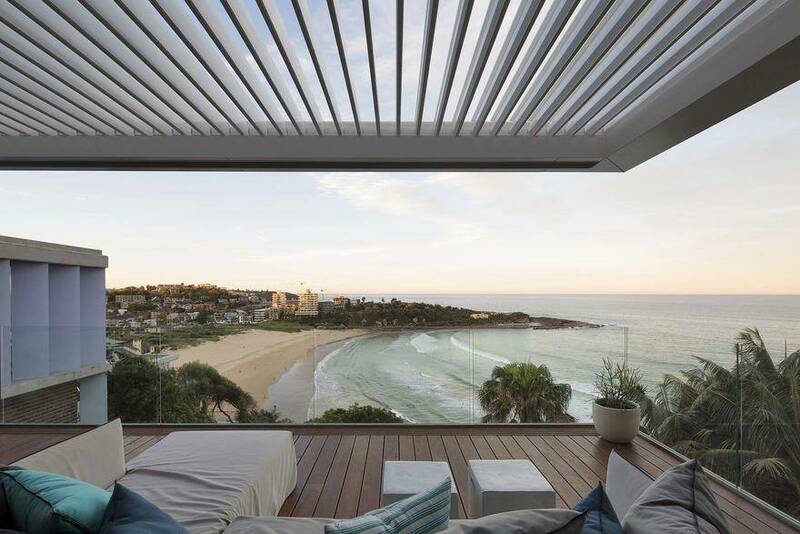 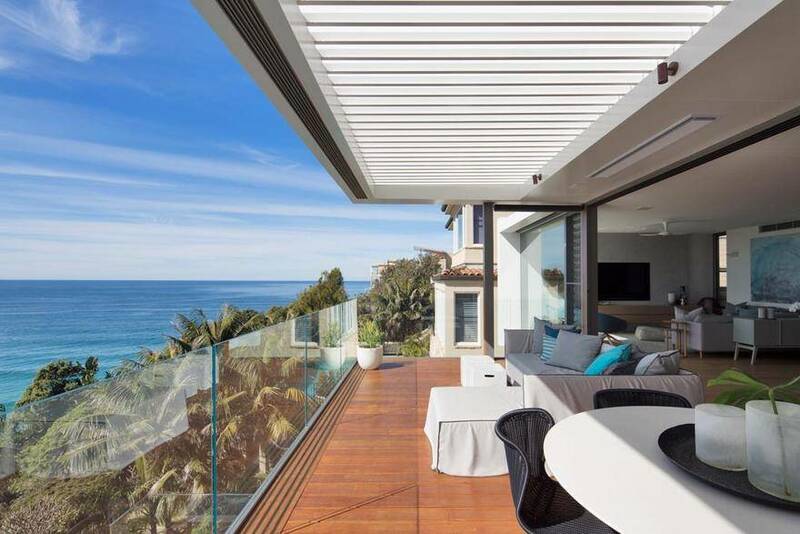 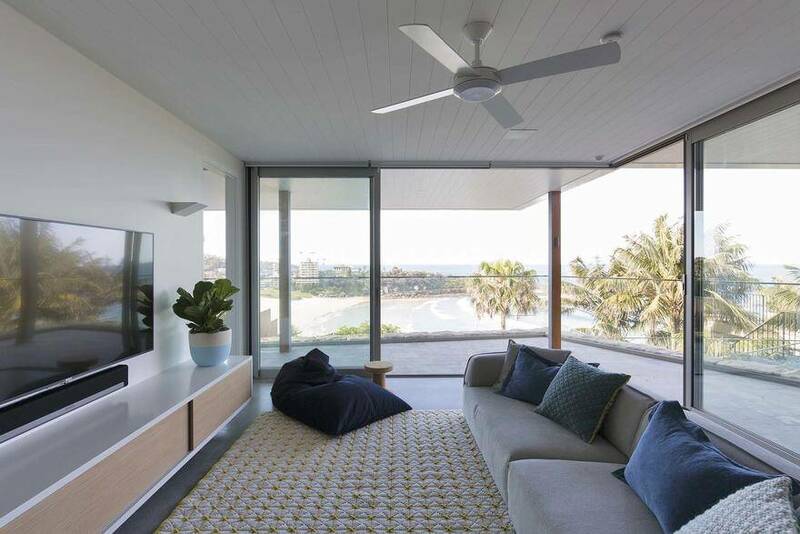 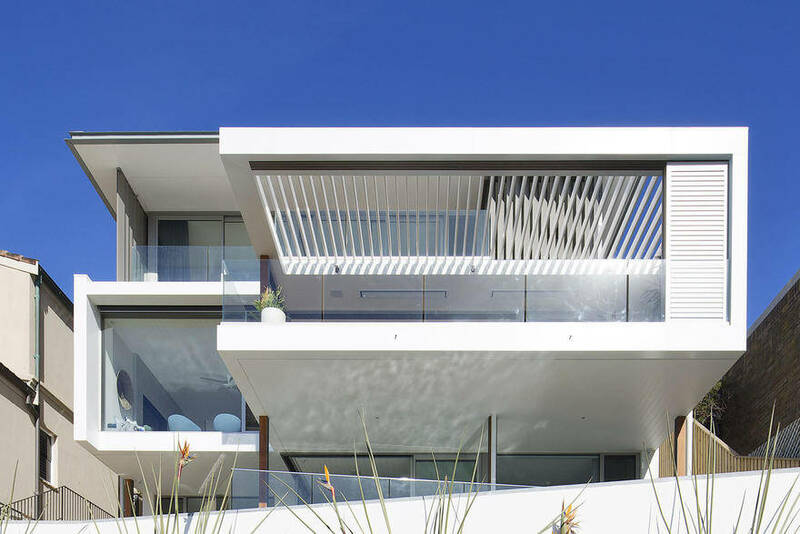 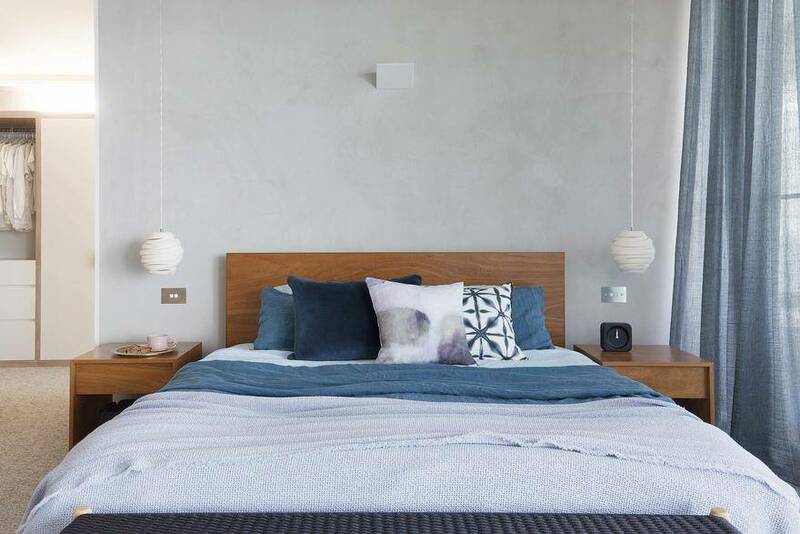 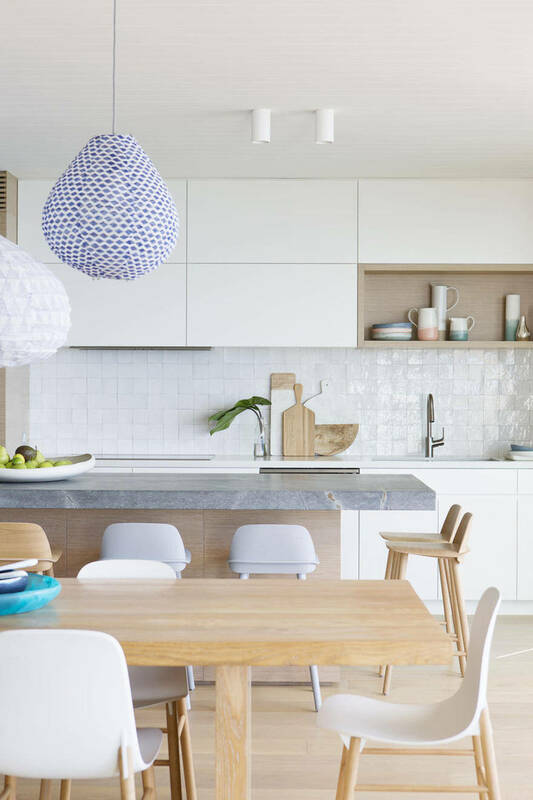 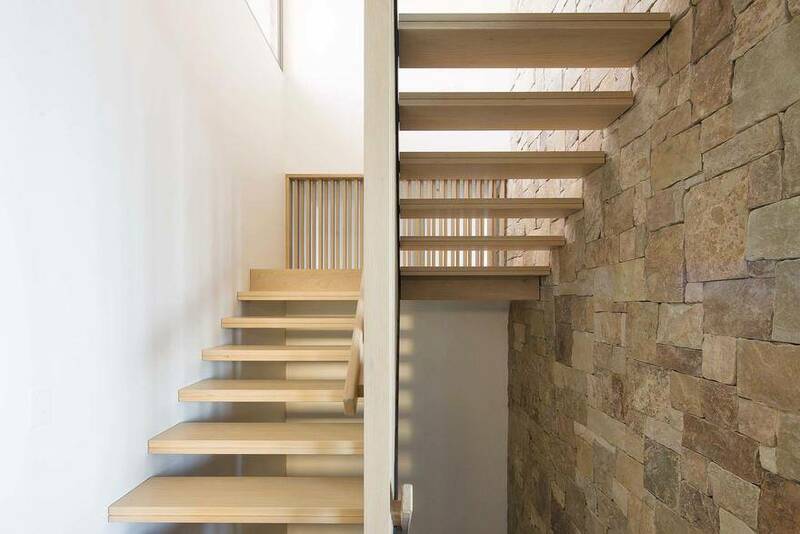 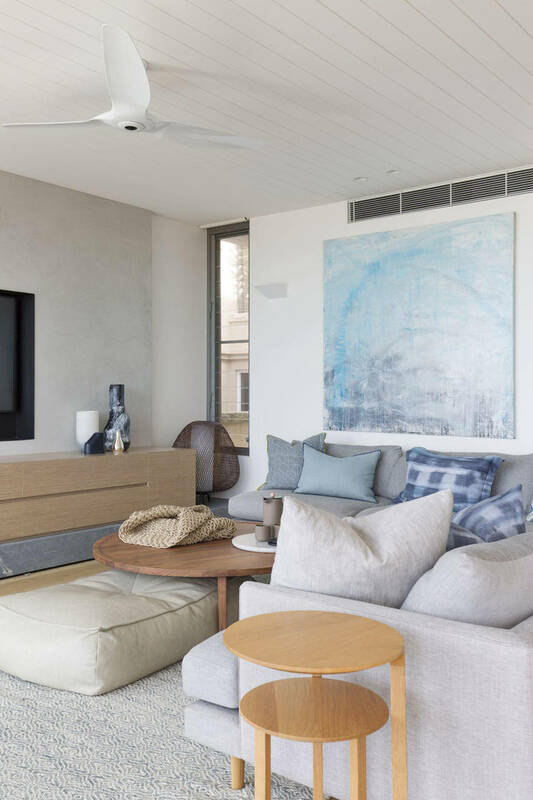 It was this home’s dramatic location on a cliffside, overlooking scenic Freshwater Beach, that formed the starting point for the interior design. 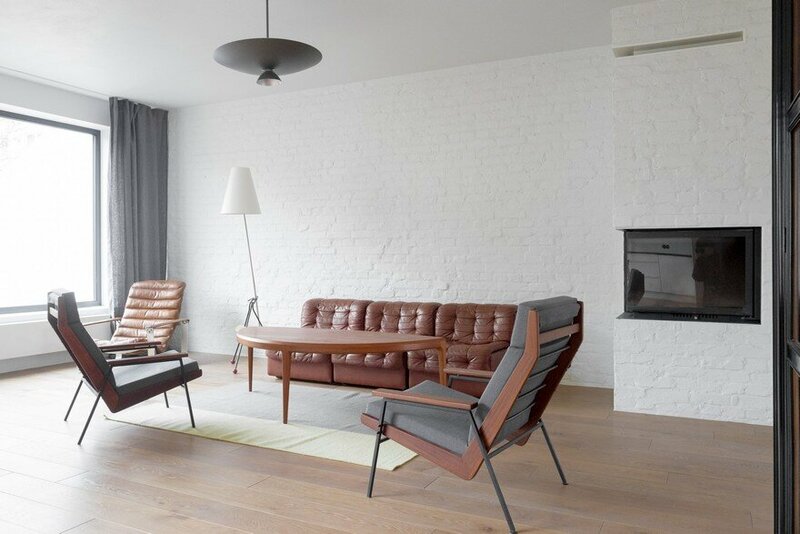 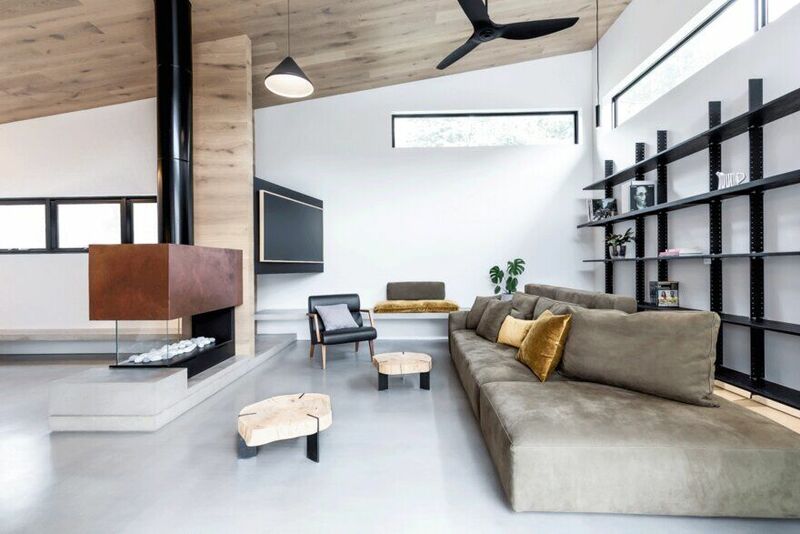 “The finishes, furniture and features needed to sit quietly against that view rather than compete,” Sarah Jayne explains. 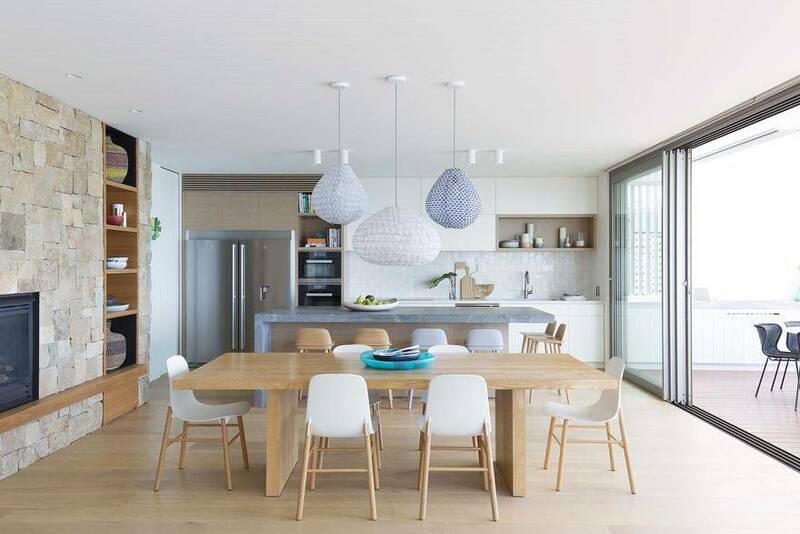 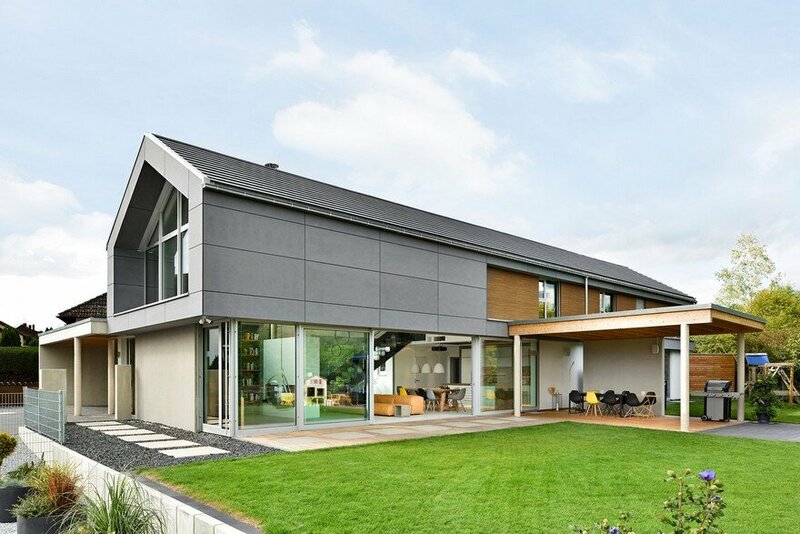 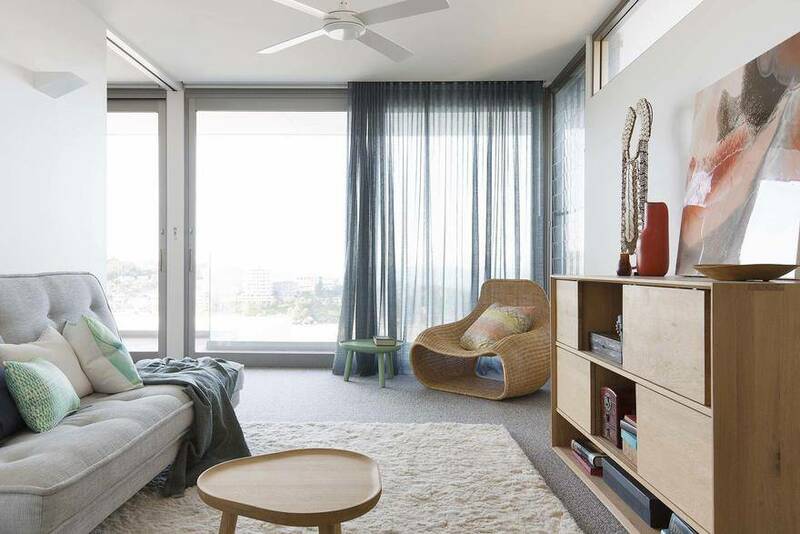 Set across three floors, the spacious, open-plan home has been designed with a young family in mind. 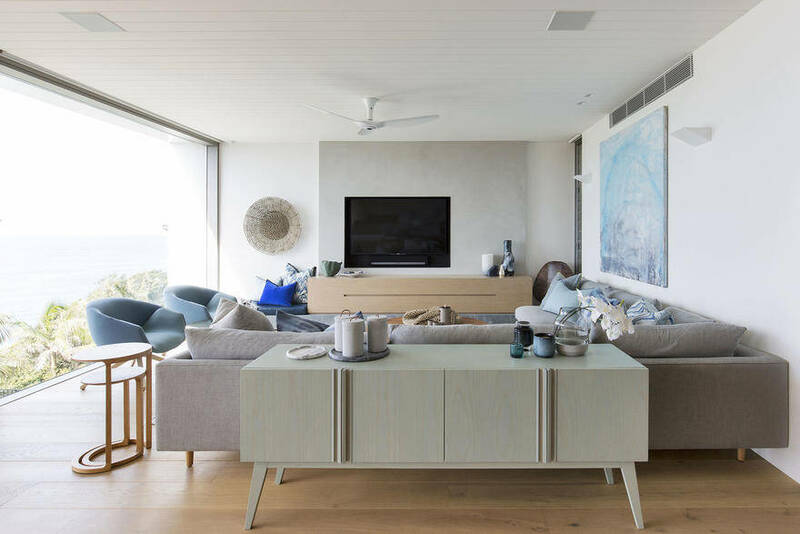 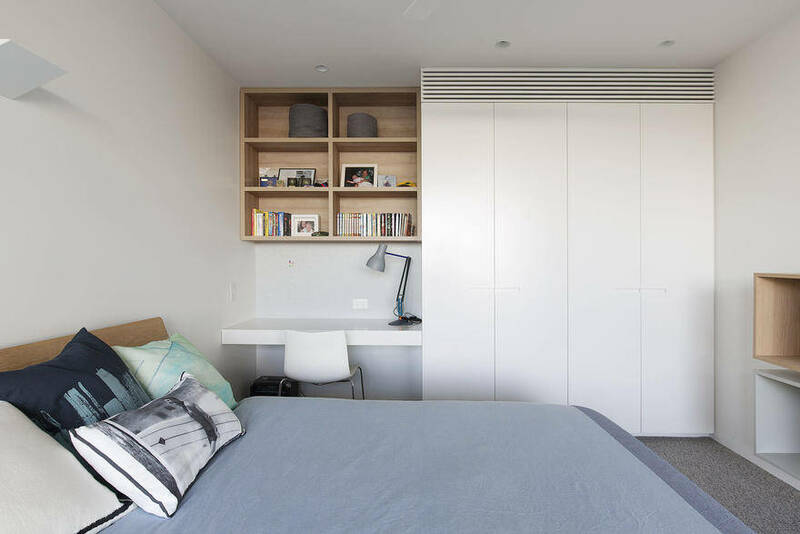 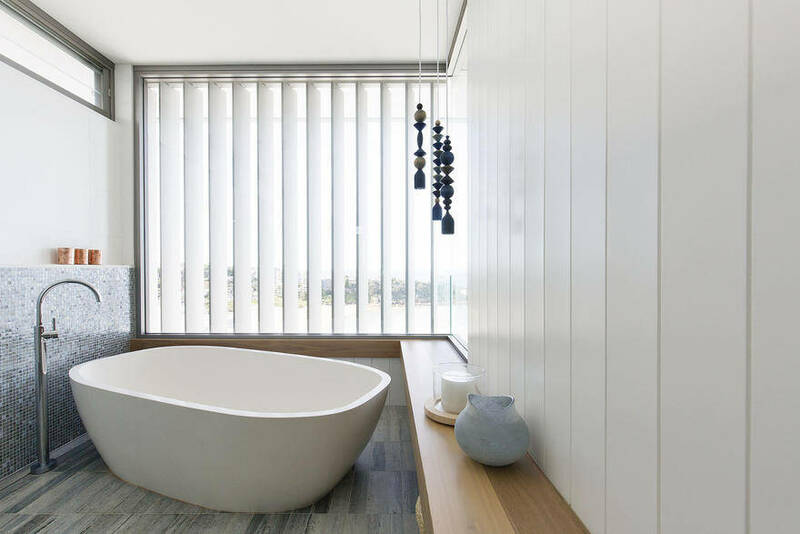 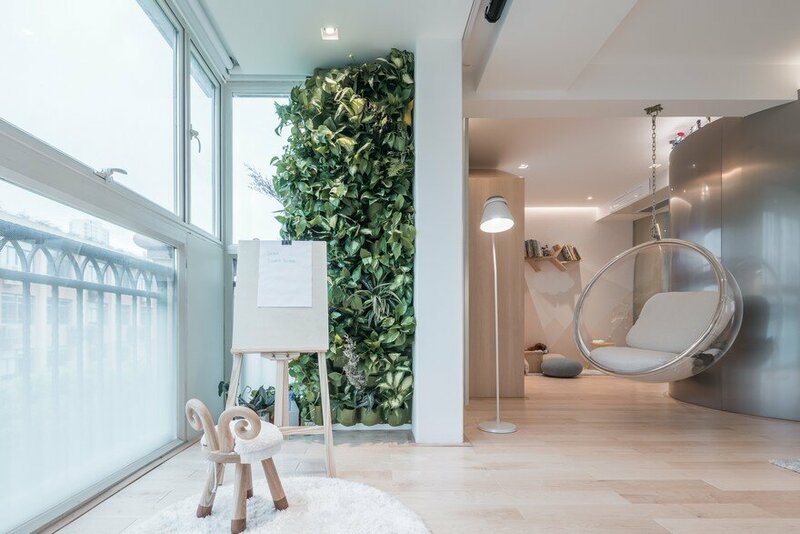 The clients requested a light and airy open-plan dwelling that would accommodate the needs of their growing family, and also provide a private sanctuary. 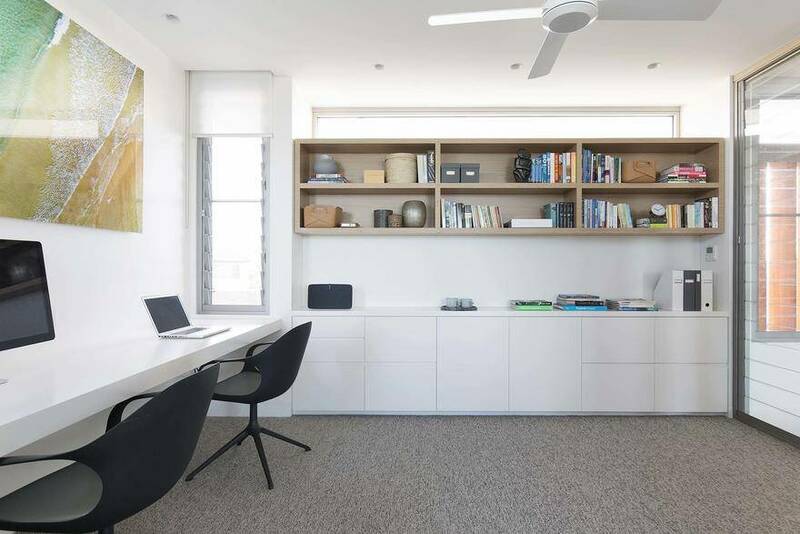 For this reason, the top floor is a dedicated parents’ retreat comprising a generous master bedroom, walk-in robe + ensuite, home office and parent’s retreat.